The first thing we need to do is agree that some of the things in this article are not going to be more fun. When I write, “Improve Your Life” I mean in a healthy way, not in a binge drinking frat party way. The real key to this article is if follow all of these things, you should save many thousands of dollars per year and also be healthier and happier. Next I want to say I got this information from all over. We reference some things, in other cases you can do a search and find different numbers from different sources. This is not a scientific research paper – just an interesting article on how to save money while improving your life. Your first reaction might be “Hell no!” but give me a moment. There are a lot of people that swear by cold (or colder) showers because they have significant benefits and they save you money. Cold showers have been associated with increases Alertness, Refines Hair and Skin, Improves Immunity and Circulation, Stimulating Weight Loss, Speeding Up Muscle Soreness and Recovery, Easing Stress and Relieving Depression. I have also heard that taking a cold shower when you cannot go to sleep and getting in bed right away will put you in a great, deep sleep if you have trouble with that kind of thing. So fine, it is good for you if you can hack it. But does it save you a lot of money? I found a calculator for shower costs online here. I did an example where I did a colder, shorter shower and a longer, hotter shower and compared the cost. Turns out a family of 4 would save $478.50 in a year. Not bad – and good for you. Well, this is already starting to sound really sucky. Take cold showers and stop drinking. But in 2018 more evidence has been steadily coming out that the whole 1-2 drinks a day are good for you thing is not really true. Women should have much less than that and even men should only be have a couple a week. I found another calculator that will help you see how much you are spending weekly on alcohol. And remember, it is not as good for you as you have been lead to believe. In this very reasonable example, I have used this calculator and estimated a $1,872 annual expense per person. If you live in a big city and like to go out with friends or coworkers a lot you are spending a lot more than this in fact. The average American consumes more than 3,600 calories daily. This is a 24% increase from 1961, when the average was just 2,880 calories. A man needs around 2,500kcal a day to maintain his weight with a healthy , balanced diet. Woman need around 2,000kcal a day. These values can vary depending on age, metabolism and physical activity, among other things. Body builders and professional swimmers should not try this at home. With all of this in mind, we simply eat too much – and food costs money. We eat 37.5% too much food to be exactish. How much money does the average person spend on food per month? This figure varies based on age and income level. Assuming you are middle class and a fairly young adult, it is $173 per week times 52 weeks which equals $8,996 in annual food costs. Now if we cut that back by 37.5%, we would be saving $3373.50 per year per person. And you would also save money on health care as it would reduce the likelihood of many weight related diseases. This gets even crazier when you consider Forty percent of food in the United States is never eaten, amounting to $165 billion a year in wasted food, according to a report from the Natural Resources Defense Council. This would figure that you might be throwing away 40% of the groceries. If you are someone throwing away a lot of food, plus eating 37% more calories than you need, it means 75% of your groceries could be wasted or eaten when they should not be. According to the Bureau of Labor Statistics, in 2014, the average American household spent $2,787 on restaurant meals and takeout, compared to $3,971 on groceries. But in 2015, the average amount spent on restaurants and takeout jumped $221 to $3,008. Grocery spending, by contrast, increased just $44 per household to $4,015. In 2017, the average household made 1.5 trips per week to grocery store. Most likely these were done driving. As mentioned above in the article, chances are you have too much food in your home already so going 6 times a month is too much. But instead of saying “You can’t go” let’s say you can only go on bike or walking unless you are going for a big run that should only happen 2-3 times per month. Walking and biking are great exercise and if you really want something, just make yourself go on foot. Chances are the craving will not be worth it if you have to walk there. By using this strategy you will help yourself cut down on those food and alcohol expenses mentioned above while also saving gas and car maintenance. AAA estimates that it costs 58 cents per mile to operate a car. Of that 58 cents, only around 11 cents is in gas. The other 47 cents goes for expenses like, maintenance, insurance and depreciation. So if you cut down on short trips by walking or riding your bike more, you could save several dollars on each trip and get better fit and buy less crap. Putting a savings tag on this is harder but let’s say you cut $5 a week in car expenses plus another $10 per week in stuff you do not buy on a whim. That is small but would add up to $780 saved in a year. All told, all of these things would make you healthier. And I certainly do not mean to imply to never take a hot shower or have a glass of wine again. But the little daily things add up to huge savings and health benefits. Let’s recap. This is all based on averages, different sources and fuzzy math. We are just having fun here. But this would suggest these changes could save an average family of four $20,026.50 per year. Your results will vary. But that is a lot of savings and health benefit. If this all seems a little extreme, remember to start small and no one says you have to go to this level. Shorter showers and less restaurants alone could save you some cash. Make it work for you. This is just an example of how you can imagine a different life. In Ohio the last snow may appear as late as the early weeks of April. Still, a property owner may notice in February a single day earth thaws and makes it pliable. Gardeners look to this day as a reminder it is time to get lawns ready. Professional landscapers know a single day with a thaw is an ideal opportunity to begin the preliminary steps of lawn care. This assumes proper steps were taken in autumn “before” the first freeze occurred. The Snow Melts – What Next? Once lawns remain thawed in an Ohio spring, it is time to begin the work of preparing soil. For some property owners, this may require soil testing to understand the degree of compromise the winter had on soil pH and soil nutrients. If the lawn was properly “winterized” in autumn, this may not be necessary. However, it is a good idea to know where the soil composition is most compromised in order to know which fertilizers may be added. A properly prepared lawn may need only a light dusting of lime to start the season. Note that when lime is added, it is important to allow the soil to fully “ingest” lime components deeply into the earth below the grass line. This may take several days or a week. Ohio, like many states in the region, find spring often brings a rainy season. Too much moisture can cause grass roots to rot or die. To avoid this problem, make sure the lawn has proper drainage. If yellow spots begin to appear in the lawn, this is a sign roots are receiving too much moisture. Alleviate this problem by adding a small patch of potting soil to drink up some of the moisture temporarily until the rainy season ends. Once the rainy season ends and weather is relatively stable, the real work of lawn care begins. Over winter, bits of dried leaves and twigs may become desiccated into the soil. This debris chokes off oxygen to grass roots. Begin lawn care with a thorough raking to remove debris. Discuss with a local Ohio garden shop the best type of lawn fertilizer for your particular Ohio region. It is a good idea to become familiar with the various types of components in lawn fertilizer. For example, too much nitrogen in some fertilizers for some Ohio lawns can be as bad for the lawn as too little. The other issue is to know the actual type of grass or grasses your lawn contains. In many areas of Ohio, lawns are composed of two or more types of grasses that create the ideal lawn structure for durability and endurance in specific regional weather patterns. Spring and fall are ideal times to add lawn fertilizer. This is because grass roots tend to slow their growth and absorb lawn fertilizers over a longer period. In spring, after a thorough raking and fertilizing, grass should have at least one inch of growth before the first time it is mowed. For those who prefer mulching mowers, lawns should still be inspected to prevent mulch buildup. In any case, lawns should be raked at least twice during the growing season to keep it healthy and vibrant. Backyard decks are an amazing space for grilling during the summer, and they enhance the appearance of your yard. However, there are different materials that are used to create decks, and thus, you should determine the best material for you. Choosing the most suitable material for your deck is more significant than the shape itself. In addition to different kinds of materials, the decks that are available differ in color, texture, installation, and cost. Below are the most common categories of materials used to make decks that you can choose from. Decks created from wood are strong and comfortable; however, you will have to put a lot of effort into maintaining it compared to other kinds of deck materials. Wood decks require annual cleaning and also re-cleaning some years. Despite these maintenance and cleaning activities, your wood deck is likely to experience breakdowns as a result of rotting, warping and splintering, especially older decks. Therefore, you should apply a colored protectant to your old deck so that it can last for more years. These are the least expensive deck woods; however, you should perform the installation process carefully because they contain dangerous chemicals. You can choose from many shades, and they last for a very long period of time. These kinds of decks are very common because they contain a good visual appeal and resistance to bugs. Whereas they are soft and wear out quickly, they can last for many years with suitable maintenance. This kind of deck wood is found in South America and does not wear out easily. It is costly, but it can last for more than 25 years. While wood material for your deck is a good choice as you will save a lot of money, in the long run, it requires a lot of maintenance. Also, you will spend some money after a couple of years to clean your deck so that it can remain in good condition. You will find a lot of information that is available in the various ways to clean your wood deck. Similarly, it is simple to build a wood deck using simple tools and hardware compared to composite and PVC decks that need advanced tools. Ensure that you choose certified wood for your deck so that you can be certain of high quality and durable deck for your backyard. Also remember you are most likely required to have a building permit to add a deck to your [city1] home. These types of decks are built using a combination of plastic and waste woods fibers that increase its resistance to rot. They have the same appearance as the wood decks, and you will simply choose your most preferred color. Generally, composite decks are more costly compared to wood decks but the advantage is they require little maintenance. PVC decks are completely recyclable, and they do not rot. They are more expensive but resist fading. They are available in a wide range of colors. When searching for the right deck, you should take into consideration the appearance and materials that you want. If you are interested in the appearance of a wood deck but still desire a low maintenance deck, then you should choose the composite deck. Composite decks do not shrink or split, and if you are interested in a colorful and durable deck, then your best choice is the vinyl deck. Determine your purpose of the deck that you want so that you can easily pick the right material that will enhance the value of your home. An outdoor deck is a big investment, and thus, you should begin by determining your budget and do your homework on the different types of decks that are available. Choose a deck material on the grounds of quality and affordability. Additionally, make sure that you ask for a warranty for the materials that you will buy. In the case of maintenance, it is important that you read the specifications provided by your deck manufacturer so that you can determine if you can manage and be sure to pick a reliable builder. For many garden enthusiasts, spring cannot come soon enough. Northeast Ohio weather is likely to make your garden chores come sooner than you think. With record high temperatures in Ohio, the promise of an early spring is a sweet treat for many gardeners. Daffodils, Tulips, Snowdrop, Hyacinths and Pansy flowers will soon be making an appearance in your beautiful garden. The question is, how do you keep your flower beds from becoming a mess? A beautiful border along your flower beds will not only keep weeds away from your beautiful flowers, but will give the garden an aesthetic beauty that you can enjoy. Here are 5 different options when dealing with borders for your flower beds. Wood edging for your flower beds can offer a rustic look while providing a flower bed that stays pretty the whole spring, summer and fall. Masonry edging is another solution for you if you are not that into wood edging. Although the price is more, a lot of people preferred that option. Decorative edging – stones or other decorative edging can make your flower beds beautiful while keeping your shrubs,flowers and other plants away from weeds. We tend to have our flower beds at the front, side and back of our homes, providing a beautiful view from wherever you look. Having a beautiful border can also offer an almost maintenance free flower bed the whole summer long. According to The American Society for the Prevention of Cruelty to Animals® (ASPCA®) there are approximately 70-80 million dogs and 74-96 million cats that are owned in the United States. Almost half the households in the United States have a dog and 30-37% own a cat. As dogs and cats grow old, visits to the vet are more a necessity than a requirement. The ailments affecting them are varied and sometimes scary for a pet owner. Other than keeping your pet’s scheduled vet visits for vaccinations and such, when do you make the decision to take your pet to the vet? When does an unscheduled visit is a necessity or an emergency? These are some of the warning signs your pet could displayed if they are not feeling well, and you need to take them for an unscheduled visit to the vet. If your cat or dog skips meals for more than a day while it has always been a voracious eater, it may be an indication that there is something wrong. An excessively thirsty dog can be a warning sign that not all is well. The beginning of kidney problems or diabetes can be displayed by your dog drinking an excessive amount of water. Having accidents in the home therefore is not uncommon. Bald patches on your pets coat, or a coat that has lost its shine or is not longer full could be an indication that your dog is not doing well. Check their food to make sure you are providing the right kind. An older adult pet needs different nutrition than a puppy. Also, they may develop an allergy to the food they have been eating, or food that you may have changed. Check with your vet and provide the name of food your pet is eating. A lethargic pet is something to worry about, especially if you have a young cat or dog. If they no longer want to play when the day before they were bouncing off the walls, and if they continue with that behavior for more than a day, it is possible your pet is not feeling well. Frequent vomiting is something to take seriously. Dogs and cats vomit to get rid of excess foods, or foods that do not agree with them. But, if your pet is vomiting daily or several times a day regularly, a visit to the vet may be required. Weight loss. Even an overweight pet that looses a lot of weight fast may be an indication that not all is well. Take him to the vet to make sure the weight loss is due to diet changes and exercise, not because of an illness. Yearly visits to the vet are necessary to keep your pet healthy. As they grow older-10 and up-twice a year visits may be required to keep them living a healthy and active life. Decluttering Your Home-Are You Prepared to Start? If on the other hand you know you have a cluttered home and want to start spring cleaning, then I’m with you. Starting small is the advice all those kitchen and home decorators tell you. Are they right? It has worked for me. Start with a small project, or head to a hall closet; You can begin by doing one shelf at a time. Take small cleaning steps to start going. If you are not a hoarder, then you will realized all the unnecessary things you are collecting on those shelves. Do not save things to think them over. If you haven’t used them in months, chances are you won’t be missing them anytime soon. If you clean a drawer or shelf and feel a sense of accomplishment, by all means do not stop. Keep going! Read the book-The life-Changing Magic of Tidying Up: The Japanese Art of Decluttering and Organizing-It can inspire you to declutter your home for good. Ask your family for their help and participation. Your home is their home and they can help too. A home that is full of unnecessary things, shelves full of items you don’t remember buying or storing, is a home that is not fun to be in day in and day out. Cleaning it also becomes a bigger burden every single day. If you need more inspiration, follow some of the links below to find different ways you can start decluttering your home. By starting claiming your home back, you will be claiming your peace of mind as well. If you are thinking about selling your home and are wondering when it’s the best time to do so, it depends on where you live in the country. There are specific times of the year to put your home in the market if you want to have good results. An article by Zillow puts the month of May as the best time to put your home in the market. But, other articles, put April as the best time for the Northeast part of the country to list the home. Regardless of what research tells you, you will list your home when you are ready and are comfortable dealing with everything that comes from putting a home for sale. Staging – Believe it or not, this is an industry that has many companies making a great living out of staging homes to sell. A realtor can also give you great advice about your home if you want to go that route, and they can give you some advice about what you need to do to make it a better sell. Home improvements that you can do yourself are the best way to get the best return on your investment. Painting the rooms of your house yourself can save a few hundred dollars that can be recouped when the sale is closed. Decluttering the home can be a great selling point that you and your family can do by yourselves. Fixing up your kitchen or the bathroom of the home can be expensive, but remember you do not have to replace everything to make it look nice. Painting the walls of the bathroom or kitchen can make your rooms look new, without going to the extra expense. If you can replace old appliances, and a new faucet in the bathroom, go ahead, those are expenses that you can recoup at the end of the sale. Curb Appeal – Dead plants, overgrown bushes, and branches falling are some of the curb appeals prospective homeowners do not want to see. A nice spring garden can be a very welcoming sight for many people. Clean up all dead leaves and branches from the year before to make sure the flower beds are nice and clean. Basement Waterproofing – even if you have a beautiful kitchen, painted bathroom with new faucets and a spotless yard when prospective homeowners go to check the basement and find water, the deal can be off right then and there. Basement waterproofing is not very attractive for many homeowners, and the expense can be too much for them. But, if you are considering putting the home for sale, waterproofing the basement of your home can be the difference between selling the home or not. Water running through the basement will send potential buyers running for the door. As a homeowner in the Akron Ohio area, you have a high chance you have had to deal with a wet basement. Older homes, harsh winters and basements that have not been inspected for many years can lead to a very dangerous wet environment. It could include mold, deteriorating home foundation, bowed walls or even more problems. The good thing about the winter is you usually do not have to think about it much. But you should. Akron basement waterproofing companies are often slow in the winter months because the problem is not as sever. Once spring hits and the snows thaw and the rain starts, everyone begins needing the services of a basement waterproofing company almost on the exact same day. This can lead to long waits to get the help you need. And you could have gotten immediate service most likely had you called in the winter and had them come out. If you can see water damage, bowed walls or other problems, you can have it inspected in the winter and either have it fixed before more damage is done, or at the very least jump to the front of the line to have your repairs done once the temperature allows them to. 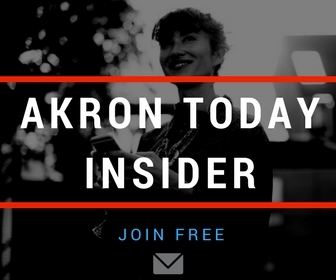 In most cases repairs can be done in any temperature – it is just not top of mind for Akron homeowners when the leak is not visible due to colder weather. If you wait until full spring, the ground will warm up, contracting and leaving a gap between your home and the ground. This is the perfect place for the rain and groundwater to leak into your home if it is not properly sealed. And this is why finding a waterproofing company in the spring can take so long. Basement waterproofing costs in Akron can vary, but what is certain is that prolonging getting your basement waterproofed risks further damage and destabilization which will increase the costs down the road. Putting it off could even lead to a more major flood and much higher costs in the form of damage to foundation and belongings. This article is just to give you a head’s up. If you already know you have water issues in your basement, and you know you will probably do something about it in the near future, today is the day to give your local basement waterproofing company a call and get started. Many people make New Year resolutions to begin the year with a bang. Many of us do not stick to them, and some of us make resolutions that are bound to fail from day one. If you made a resolution this year to spruce your home and declutter, that’s a resolution that makes sense and that you might be able to accomplish. If you are replacing the flooring of a room in your house and don’t know where to begin, read ahead. Depending on the room in your home, flooring can be an easy decision to make but also it can present itself with questions about what it’s best for your family. Keep in mind that there is some specific laminate flooring you can use in these rooms. Normal laminate flooring can become very slippery and warps rather easily with small amounts of water on it. You need to find the laminate flooring that can withstand water or other types of liquid spills without damaging it. For many environmentally conscious homeowners, hardwood does not seem like a very likable option. Many of these homeowners have chosen to opt for the more environmentally friendly bamboo flooring. If you are thinking about vinyl flooring for some of these rooms – especially for dining rooms, kitchens, bathrooms and the main entrance of the home- vinyl has come a long way from the one sheet vinyl flooring our parents and grandparents grew up with. The look of vinyl is not what it used to be, so choosing it over other types of flooring is not outdated. Carpet for the bedrooms of the home has been the main choice for many homeowners though out the years, but if you have children with allergies or other respiratory problems, laminate or bamboo flooring can be a very nice second option for you. There are many pros and cons you have to consider with every choice of flooring there is. Price, durability, ease of installation, look. But, remember, buy what you love for your home. It’s now a good time to buy or sell a home. However, overspending many times to boost a home’s value is not a good idea. Some things can be done at a lot cheaper price, but the outcome will be a lot better than expected. From a few bucks to a few thousands dollars depending on the amount of clutter, weird smells, and grime, cleaning thoroughly from top to bottom, inside and outside the home, and in garages and other areas outside the home go a long way. And the potential return from doing this step is three to five percent. When cleaning thoroughly, one must depersonalize the space so that potential buyers can visualize how they can use that space. Even the opening of the curtains and blinds to let sun in will give them a better feel, and it would make the space appear bigger. For spaces that are severely cluttered, a professional organizer can help, and there are places like the Salvation Army who are willing to pick up belongings that are in good condition but is no longer needed. And with the harsh winds causing dirt marks and debris on homes in the Midwest, like Akron, OH, it’s important to do some power washing on the exterior of the home. One would be amazed of the significant difference after the thorough power washing. 2. Paint the rooms selectively. Painting the walls a neutral color is always a good idea because potential buyers can visualize how they would use the space. Also, neutral colors go with any type of furniture they may want in that space. With this said, depersonalization is key here. Having purple walls may be great for the current residents, but it may be a turnoff to potential buyers who may automatically be withdrawn from buying the house because of that. Also, painting the walls are important because it makes the place appear bigger, cleaner, and fresher. Whether it’s caulking the tub, fixing light fixtures, getting the burnt mark off the counter-top, or replacing some shingles that are more affordable and with a warranty, these steps would definitely make a great difference. It only costs a mere $100 to a few thousand dollars, depending on what all needs to be done. However, the potential return would amount from two to seven percent, depending on the work done.